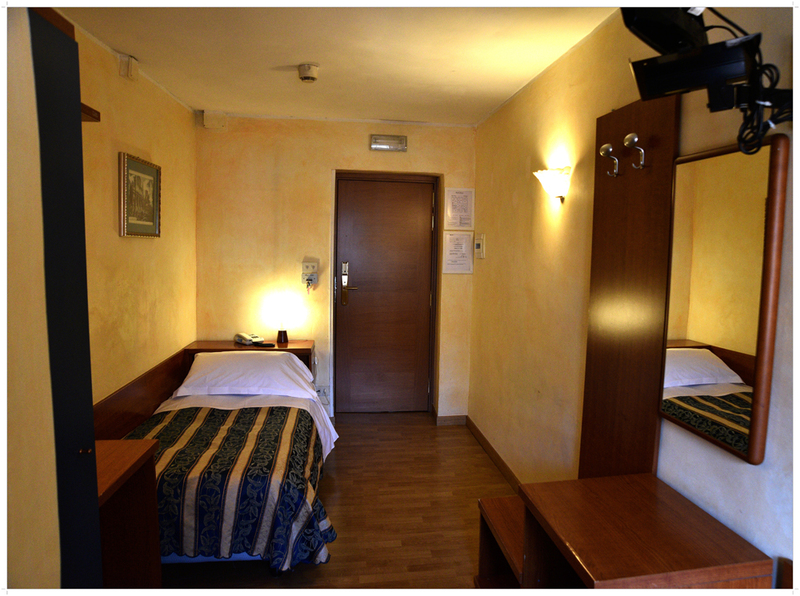 The Double Standard Room is a double room with one double king size bed (160cm * 190cm) or with two singles beds (cm. 80x190). This room is 16 sq.m.. 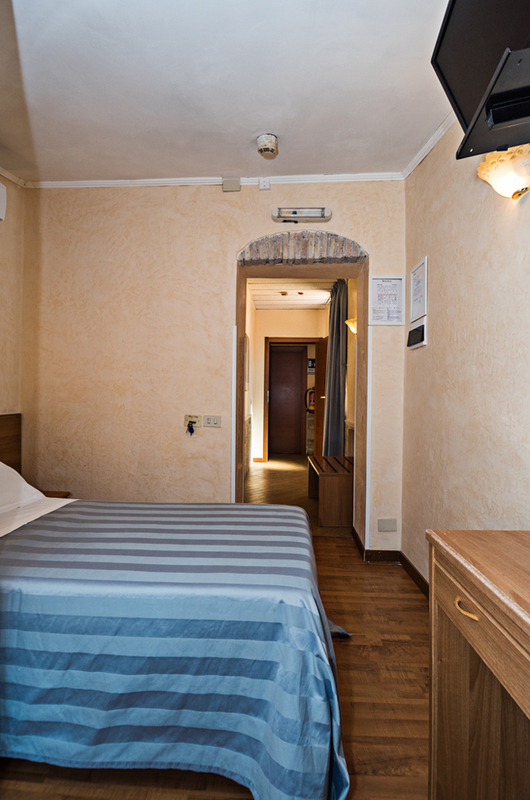 This room is equipped with bathroom (with hair dryer), safe, telephone, TV sat, air conditioning, free Wi-Fi internet. 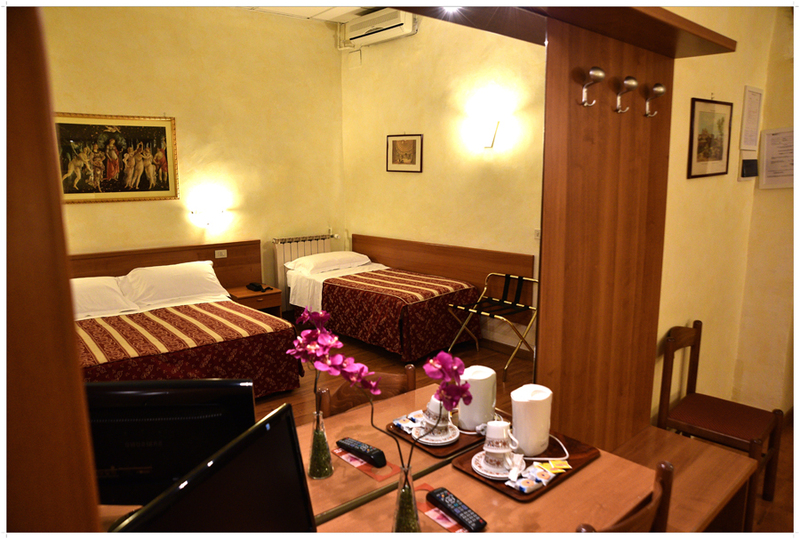 The Double Queen Room is a double room with double French bed (140cm * 190cm). This room is 14 sq.m.. 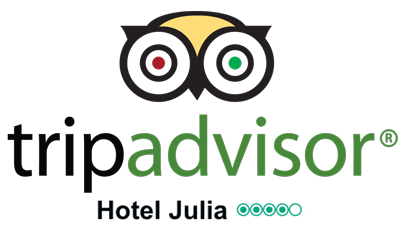 The Triple standard is a triple room with double bed (160x190 cm) and a single bed (80x190 cm), or with three single beds (80x190 cm). This room is 18 sq.m. 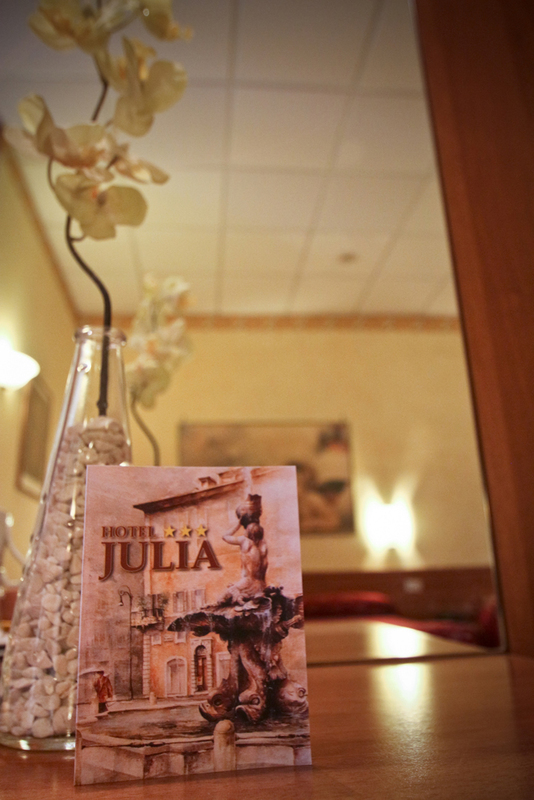 This room is equipped with bathroom (with hair dryer), safe, telephone, 2 TV, air conditioning, free Wi-Fi internet.. 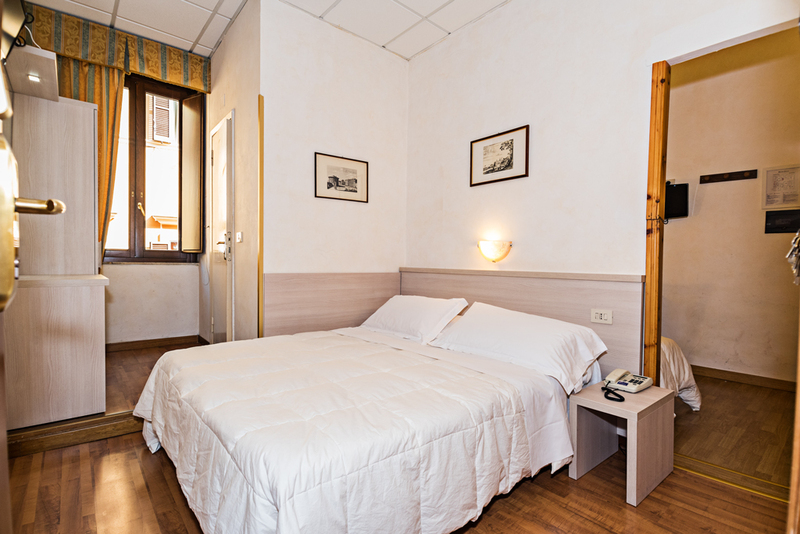 These rooms are composed of two adjoining rooms with a double bed and a single bed. This room is 22 sq.m. 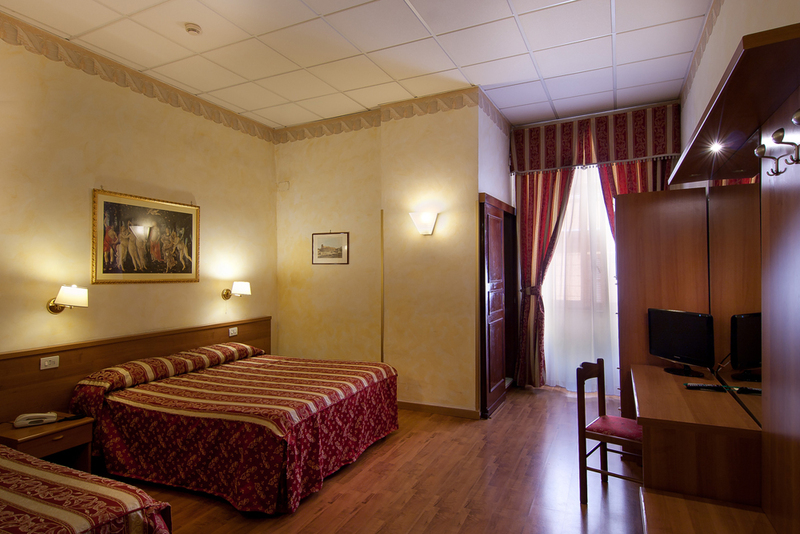 The Family Room is a room with bath, triple or quadruple with a double bed and one or two single beds. This room is 20 sq.m. 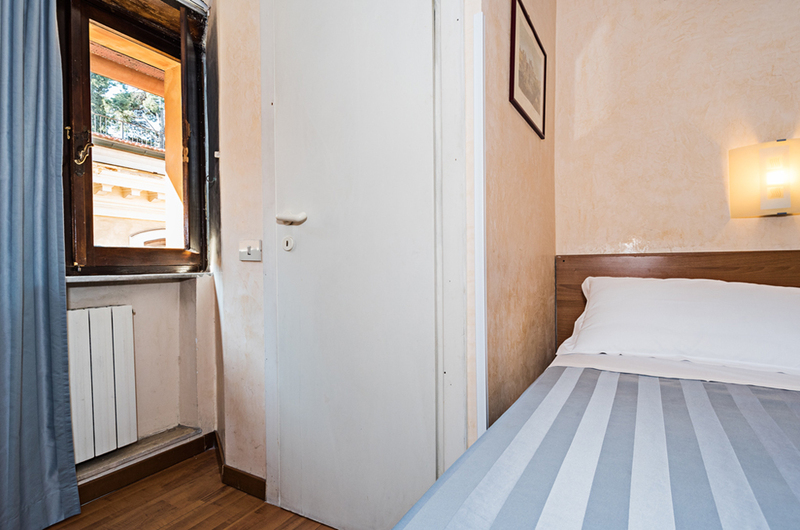 The single standard room is a single room with a single bed (80x190 cm). The room is 12 sq.m.. 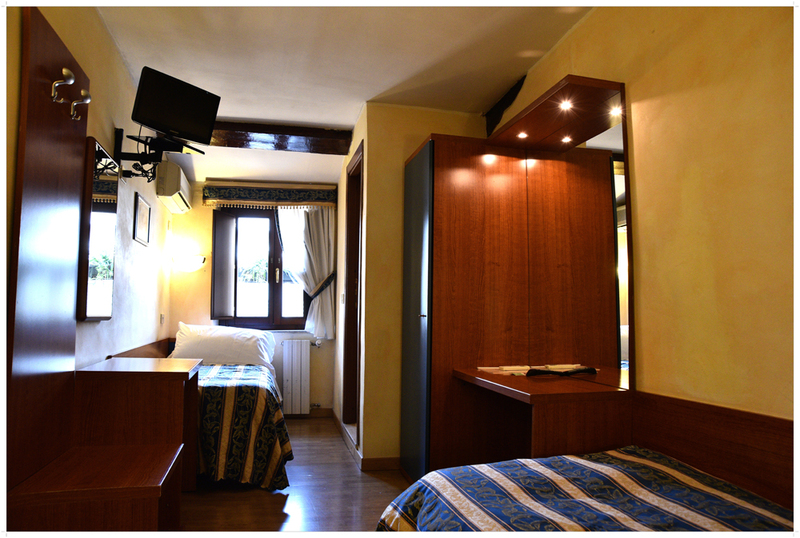 This room is equipped with bathroom (with hair dryer), safe, telephone, TV sat, air conditioning, free Wi-Fi internet. 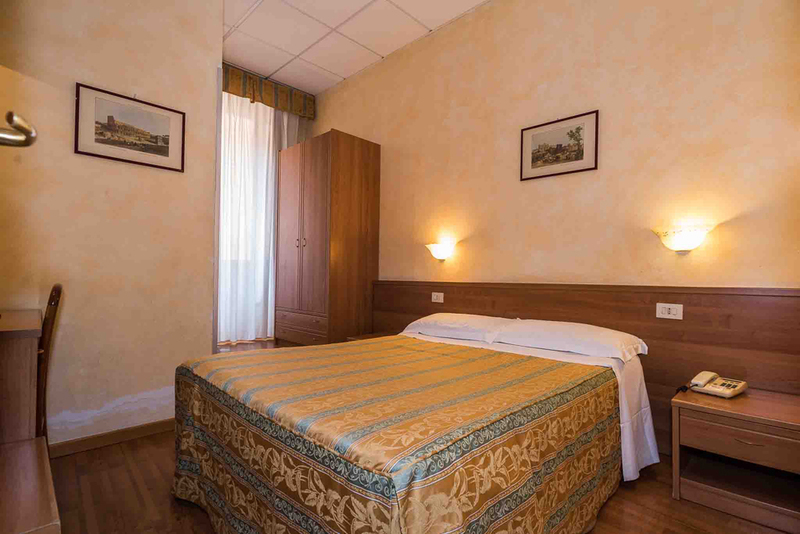 The single economic room is a single room with a single bed (80x190 cm) with external bathroom on the ground for exclusive use of the room's guest. The room size is 8 sq.m. 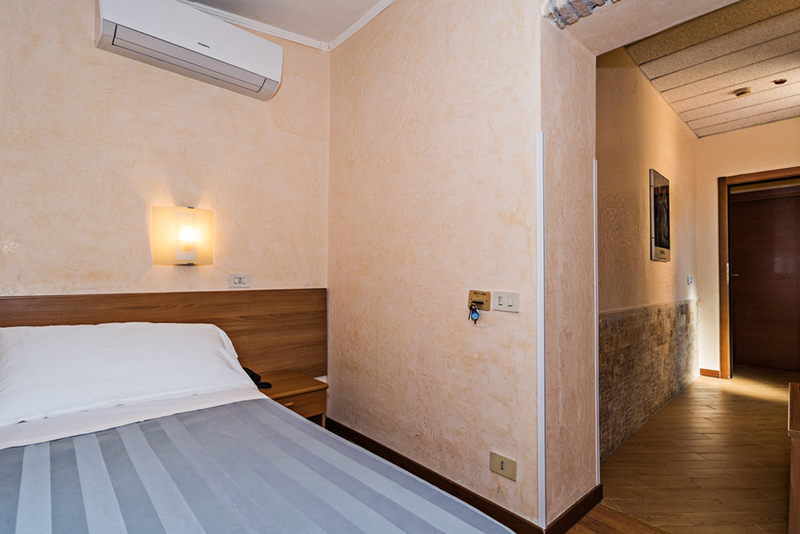 Large rooms and spacious specially structured to allow easy access to disabled persons. This room is 12 sq.m. The bath is prepared with special handles for easy use (see photo). 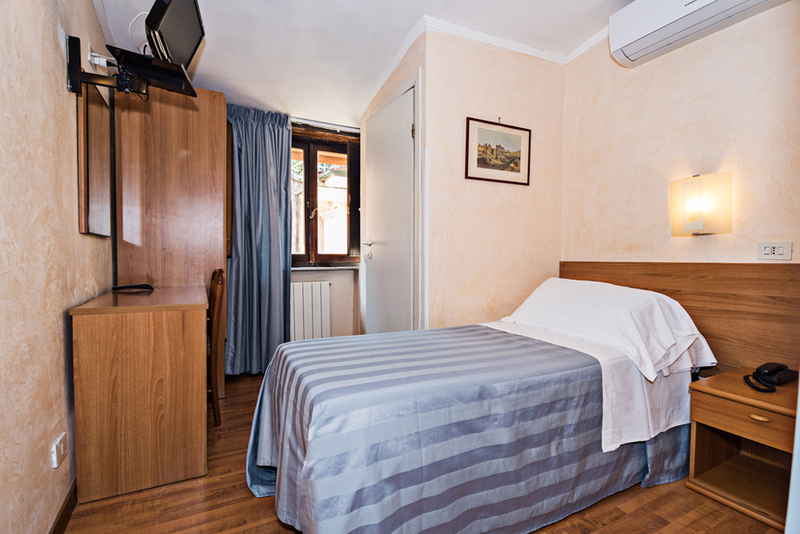 This room is equipped with hair dryer, telephone, TV sat air conditioning, free Wi-Fi internet.